This exciting young horse is ready to go far in the right hands. Heidi is the perfect modern sports horse, compact with a powerful hind quarter and a great attitude, she loves to please. Backed professionally as a three year old, she was allowed to mature before being brought on by her amateur owner who took her to local dressage shows (winning her first time out). 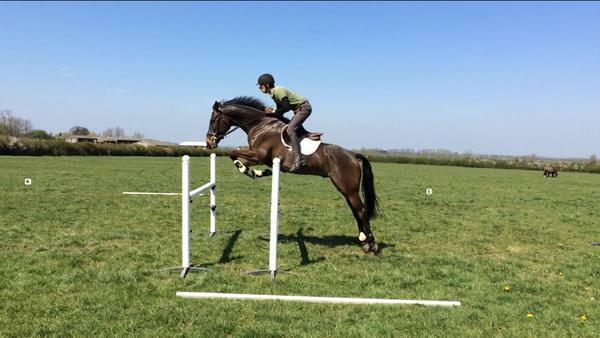 She has been XC schooling and was very brave, jumping everything. Heidi is straightforward to ride, with a good contact and responsive to the aids. She can be green in places jumping due to her owners lack of time, but with consistency is coming along well. She is currently jumping a course of 1.05m at home and has jumped higher, showing plenty of scope. She is a bright and intelligent young mare, always looking for her next job. We really think a lot of this young mare and are excited to see where she will go. Heidi has excellent breeding, by the legendary stallion Corland, son of Cor de la Bryere, out of a Kroongraaf mare. She carries some of the best jumping lines in Europe. Loki is an ex-racehorse who showed a lot of promise on the track, winning his first race, but sadly couldn't adjust to a life in racing. Since arriving in 2014 he has flourished at D&L and is showing the same great aptitude for evening as he did racing. He is an extremely careful showjumper, and has eye-catching presence in the dressage arena that draws comments every time he goes out. Júlia and Loki have struck a fantastic partnership and have completed handful of unaffiliated events in the placings. Júlia and Loki have competed under both BE and BS with good placings, winning at Discovery. Loki has competed 1.10 UA jumping and is happily jumping 1.20 at home. Sadly he is now actively for sale as Júlia and Sam as expecting their first child in the summer. Loki is by the American TB Johannesburg, out of the Irish TB mare Attasliyah, by Marju. Finn is a little jumping machine, a big horse in a little body! She will make an excellent project for someone to produce over the winter, she has been out jumping UA classes in the last few weeks and has always been double clear. Never spooky, no vices, good to do in all ways. Hacks quietly alone and in company. Finn is an Irish Sports Horse by Cruising's Micky Finn, out of a Crosstown Dancer mare. It is hard to find a natural mover like this beautiful mare. Elastic floating paces, with a shoulder that must be spring loaded it lifts so easily! She is pure talent through and through, straightforward to ride with a really trainable attitude. She isn't phased by anything, never spooky or sharp. This is a fantastic project for a professional or amateur to take up the grades in BD. Clean limbed, no vices, good to handle at all times, catch, shoe, load, hack etc. Chello is by the famous Chello VDL, son of Contender, out of a Sandro mare and goes back to the great Cor de la Bryere. Chello's dam, Olisa, carries lines of Farrington, Amor, and Nimmerdor. Handsome Irish Sports Horse, with flashy paces and good jumping technique. Has been XC schooling and competed at unaffiliated dressage, jumping and combined training, with good placings. Lots of presence in the arena, always receives good marks in dressage. In 2015 Podge took on his first unaffiliated event, finishing 4th at Aston le Walls, and finishing well in Crown Farm with a clear XC. 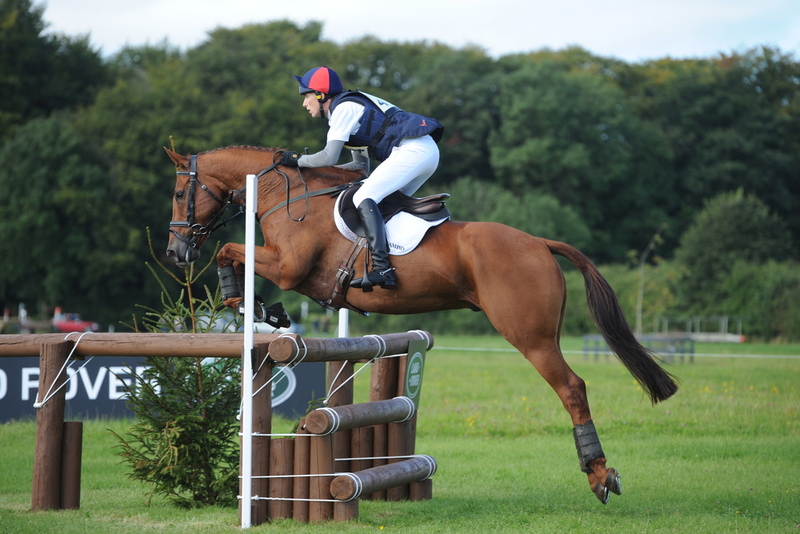 He will now focus on showjumping for the rest of the season and go affiliated eventing in 2016. Hacks alone and in company, good to shoe, box, catch and clip etc. No vices. 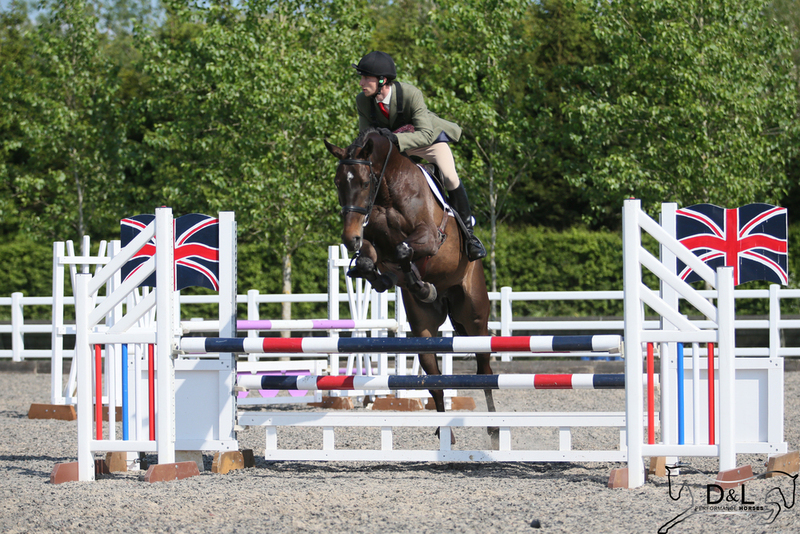 Podge is an Irish Sport Horse with no recorded breeding. Alfie came to D&L in 2015 having previously been ridden by Tom Robinson. He brought his irresistible personality with him and has cemented his place and our resident diva! A title backed up by being the only horse on the yard with his own FaceBook page! He is an incredibly talent horse with beautiful floating paces and a huge jump. He was previously competed at 2*, but having has some time off Sam will start him at Novice before moving up later in the season. Alfie is by the legendary Indorado, son of Corrado I, by the great Cor de la Bryere. His dam, Rurusa, is by the Corland, and carries Landgraf I and Wellington. Max was the first horse Sam took on as a professional rider, when he was still working at Woodland Farm. His owner, Julian Podger, approached Sam about producing some horses for the BYEH Qualifier, and he has been with Sam ever since. In 2014 the team realised that ambition when Max qualified for the BYEH final at the competitive Badminton Horse Trials Qualifier. Max continued to improve and started the 2015 season with a 3rd place at BE100, before winning is final run at that level and moving up to novice. In July he traveled to Ireland to take on his first international event at Camphire, gaining an important MER allowing him to compete at CCI*. Following Camphire Max had a well deserved break, after which we decided to concentrate on his jumping and dressage. He will pick up where he left off in 2016 and look to compete at CCI1* and CIC2*. Max is one of the first lot of horses by Emperor Augustus, the Irish TB stallion that many feel will take over from the great Master Imp as the leading TB sire in Ireland. His dam, Ballyvaad Clover, is by Clover Man (Clover Hill). Teldon is the resident top-dog at D&L! He has been with Sam since 2006, when they took on their first novice together and later that year their first CCI*. In fact they have moved up the grades together, from pony club all the way to CIC3*, taking in the European YR Championships along the way. 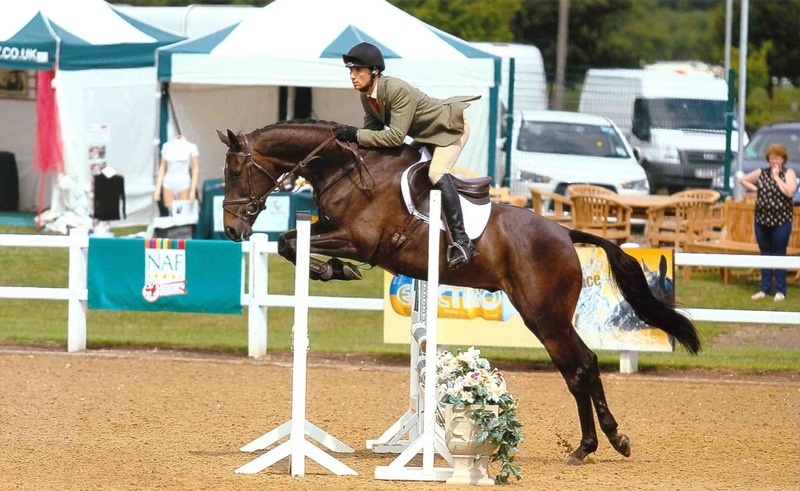 Teldon most certainly gave Sam his start in eventing and has been a true horse of a life-time. In 2015 they followed a top ten finish in the CIC2* at Bicton with a great run in the CIC3* at Wellington, scoring a personal best 49.5 in the dressage and running clear XC to finish 21st. They continue to grow together and will finish the season at Osberton CCI2* and aim to compete in their first CCI3* in 2016. Teldon is an Irish Sports Horse by the SBS stallion Don Juan de la Bouverie, who stands in Ireland, out of a TB mare called Catell (Cataldi) who is also the dam of Cavaldi and Telroyale who competed to 4* and 3* respectively.